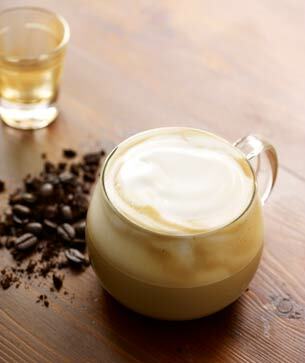 With less milk than a latte, cappuccino offers a stronger espresso flavour and a luxurious texture. To make it properly requires much skill and attentiveness. Arguably the most important part is frothing the foam to velvety perfection as the milk steams – something our baristas take great care to achieve. The milky moustache that clings to your upper lip is proof we’ve made yours right. And may we say, you wear it well. Cappuccino is considered mostly a breakfast beverage in Italy, while espressos are enjoyed any time of day.